I was here to meet-up with an old university friend , Jen, and The Peak District is half way between our respective homes. We were braced for a hearty hike in the hills but what we weren’t quite so prepared for was the utter charm of the area. 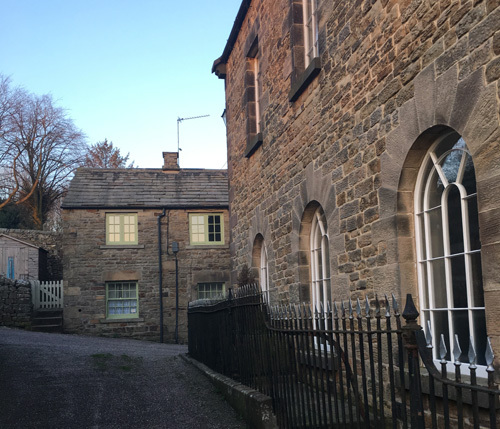 As the friendly locals explained, Longnor is a working village that is pronounced with a silent ‘n’. As dusk falls, it takes on a wonderful amber hue, reflected on the old stone building and the graves dating to the 18th Century. 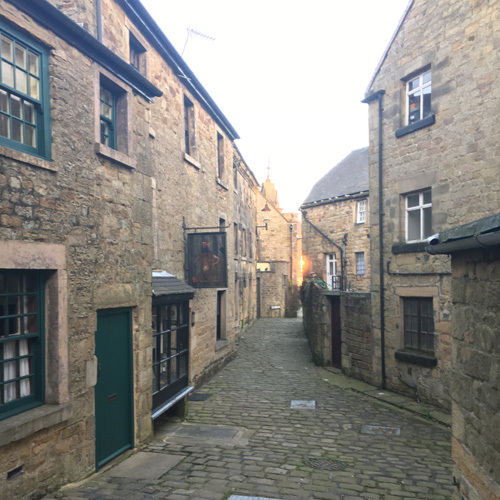 The back streets are more reminiscent of the mediaeval ‘ruelles’ of France with fine town houses and impressive old buildings of former grain stores and agricultural suppliers. The centre of the village is perhaps the liveliest spot, with a restaurant, pub and a thriving chippy. One couple were parked-up in a shiny sports car drinking in the fine views and enjoying their fish and chip supper with the roof down. Jack’s Cottage is tucked away on a quiet street just 200 metres from the centre. Sympathetically restored by a local master-craftsmen, it exudes old-fashioned charm yet is equipped with all mod cons, including super-fast broadband. The charming owner, Mary, has thought of every detail from stylish linen black-out blinds to a torch by your bedside and a box of emergency toiletries. Flagstone floors, exposed beams, and a range stove with gleaming copper kettle, mark-out the downstairs kitchen and living room. Upstairs is a well-appointed double bedroom, with a separate shower room complete with stained-glass windows. 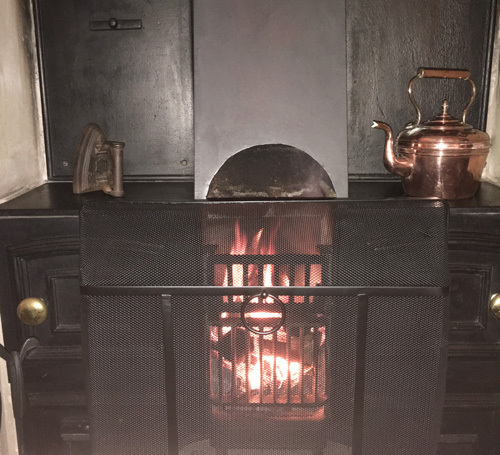 We settled down in front of the roaring stove and caught up: the cottage was delightfully cosy with the central heating on too – it was March! 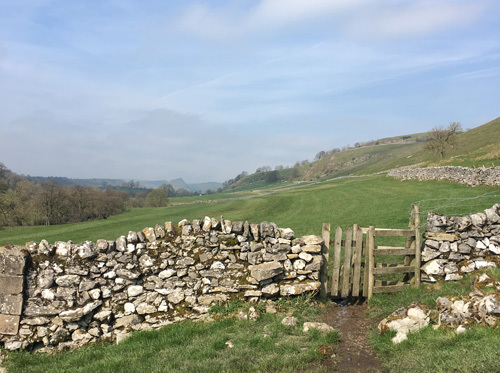 The following morning, we walked out from the door along a route recommended by The Times writer Christopher Somerville http://www.christophersomerville.co.uk/?p=1690 A copy had been printed out and laminated by the ever-thoughtful Mary. It’s easy to find the way from the village to join the trail. 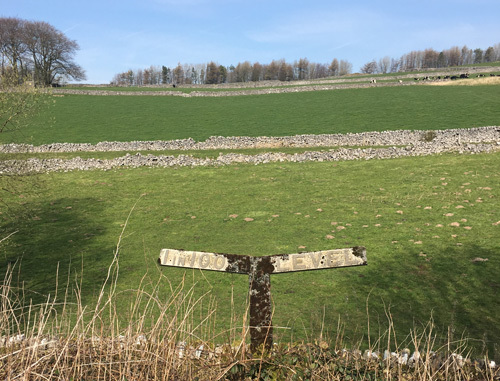 This varied route took us through pastureland, past wide, limestone valleys, along ancient trading routes marked by standing stones and by the ruins of Pilsbury Castle. There were even high hill-tops where you look across to a dragon’s back of peaks. We passed a handful of walkers and their well-trained dogs, but otherwise had the place to ourselves. 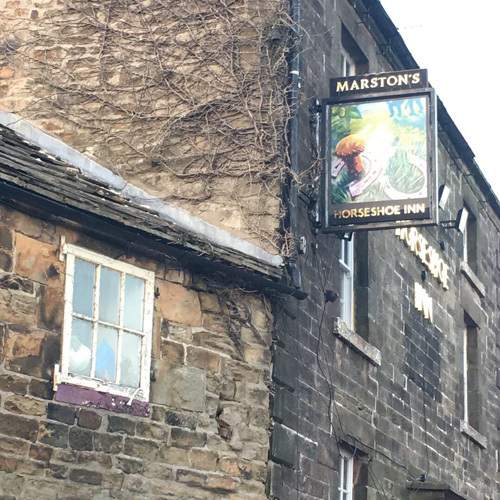 Back in Longnor we headed to Ye Old Cheshire Cheese Pub for a well-earned pint. We passed the time exchanging notes on bus routes in small villages with a friendly young local, falling deeper into the leather chairs in front of the fire. We may well have spent the evening here had not a table been booked at the Merchant House restaurant, which had opened just that week. We shared a plate of calamari and devoured steaks that were cooked to perfection. 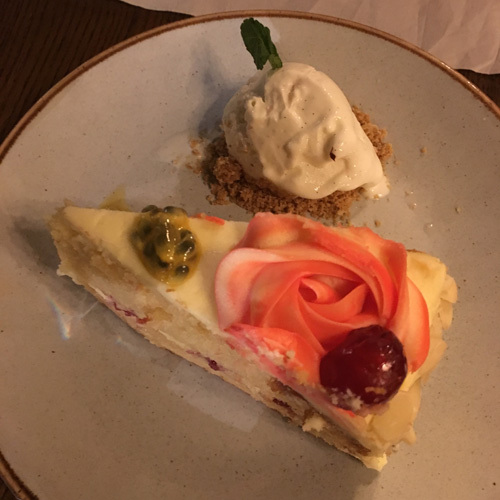 Pudding was a Bakewell Cake which was although rather garishly decorated, tasted divine. We left replenished and motivated to visit Bakewell the following day. After another sound night on excellent mattresses we reluctantly left the cottage for home, calling in on the bustling town of Bakewell. 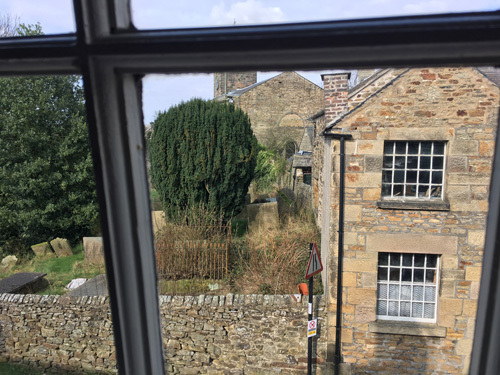 The busyness of the town was a shock to the system after the calm and gentle timbre of Longnor – I bought a pie and some delicious Wensleydale Cheese. But of the two towns, I certainly know which one I’ll be heading back to for a longer stay. 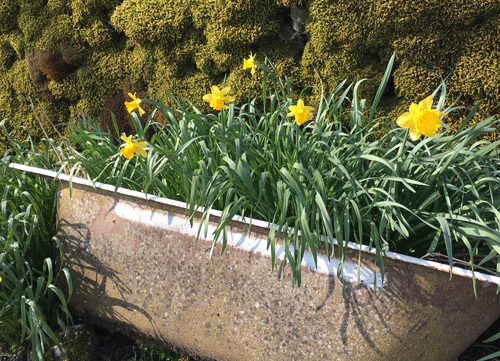 Fliss Hoad stayed at Jack`s Cottage, a stylish and cosy period cottage in the village of Longnor in the Peak District. The cottage has one bedroom, but also has a comfortable sofa bed in the living room. 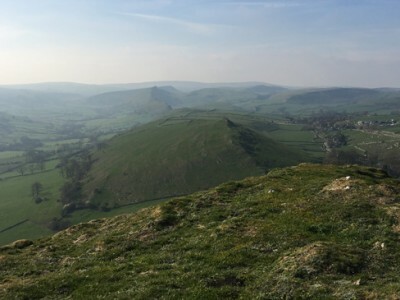 The picturesque village of Longnor is in the heart of the Peak District National Park, and it is an excellent base from which to explore the many delights of the region. Stays cost from £75 per night.